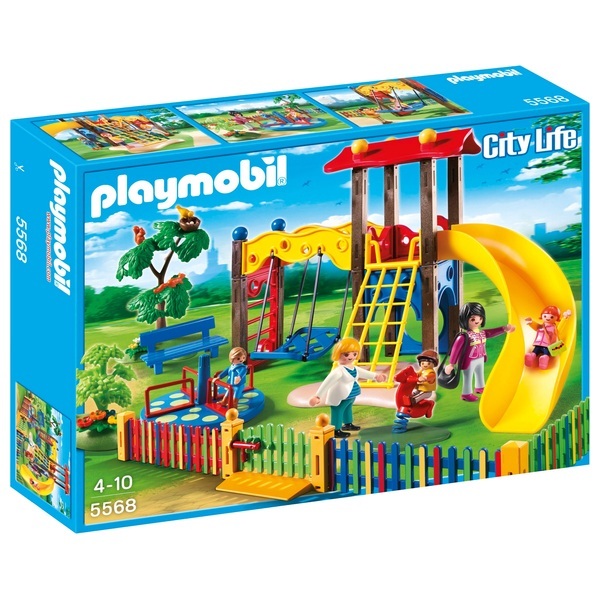 The Playmobil Children's Playground is the perfect place to take your children to have some fun! With the super cool slide, a swing, climbing apparatus and a roundabout there are plenty of activities to keep the little ones entertained while the mums have a rest on the bench by the tree. The set comes complete with 2 Playmobil mums with their children and accessories.